This was a card we made as one of our 4 Make-and-Takes at OnStage, aren’t you thrilled about Mint Macaron?? Me too! Do you see that amazing shine on our new pearlized doilies? These are simply stunning!! One side is white so you could sponge it or color it and the other has a sweet shimmery pearl finish! I love these so much! I know you will too! and you are also going to love the new share what you love artisan pearls- they are dreamy in five different colors. You can hardly see but there’s also a strip of our new quarter inch rich razzleberry velvet ribbon, just put a little glue on this and stick it down and it just adds a nice touch. And let me talk about this designer series paper, you are not going to believe this but you get four sheets each of 6 double sided designs for a total of 24 pieces of 12″ x 12″ DSP, 4 of the designs have a pearlized finish and is just gorgeous. 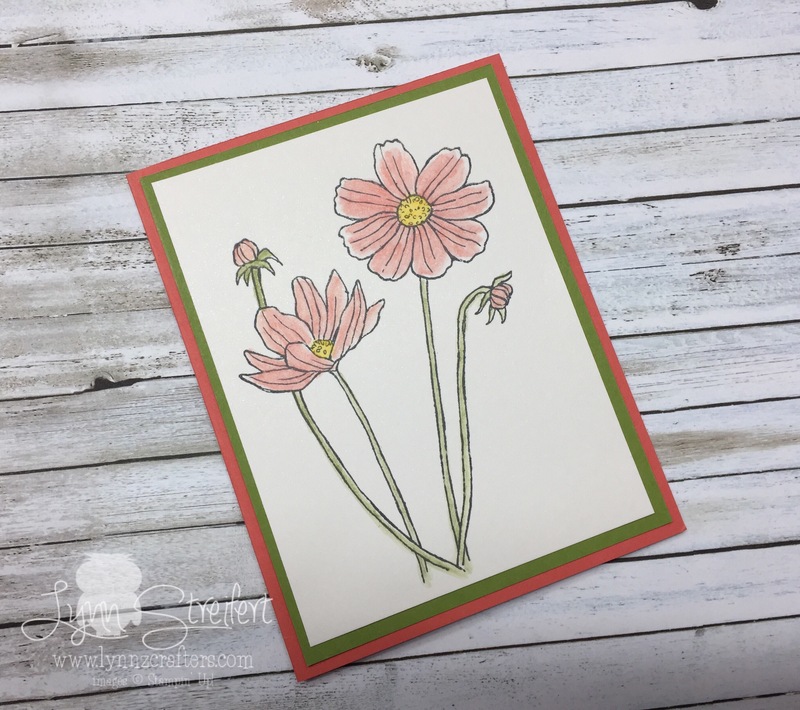 Next up-This card features one of our brand new In Colors- Grapefruit Grove! I paired it with two returning colors so saffron and old olive. And look at the Lovely Floral Dynamic Textured Impressions Embossing Folder! 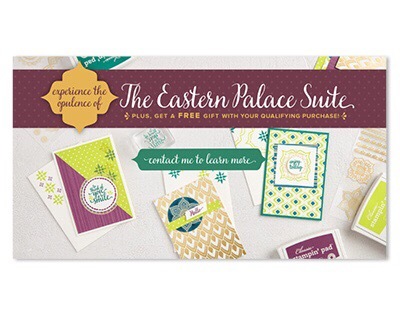 (at bingo the other night we used this texture folder on the envelopes and it is gorgeous!) Okay, yes I’m addicted to the pearlized doilies and the artisan pearls I had to use them again. Last but not least is this sweet little card I came up with for our bingo night last week. 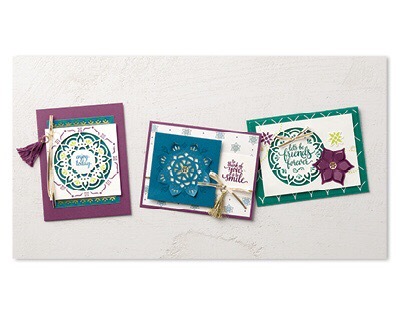 You absolutely cannot go wrong with the oval from the stitched framelits and how amazing does that rich razzleberry look as the border punched out with the decorative ribbon border punch? I know right! 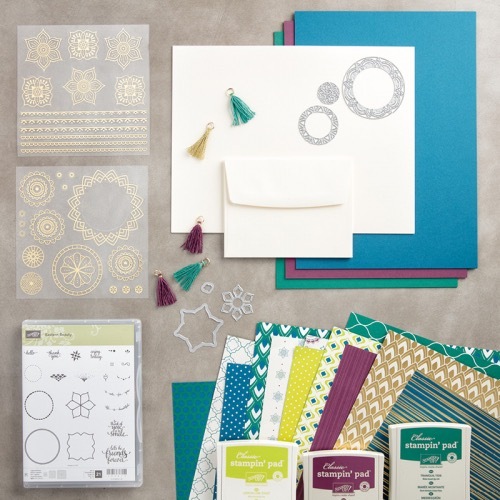 And more of this stunning DSP specialty paper, you have to add this to your first order if you don’t get the bundle it will make so many nice cards, scrapbook pages, gift bags, you name it! And you can even pre-order In-colors if you would like them early! If you cannot read these images just head over to my online store and everything is loaded up there for you! Let me know if you have any questions and thanks again for stopping by today! We Create Blog Hop- November! 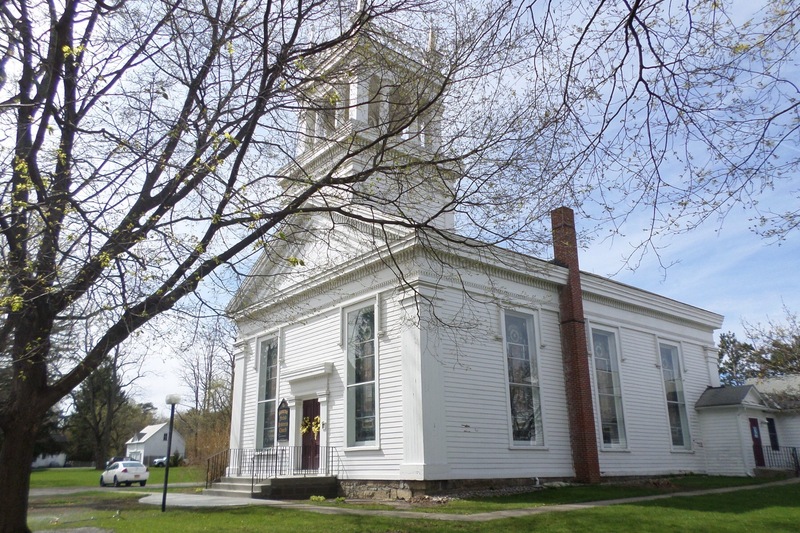 Welcome to our November Blog Hop! 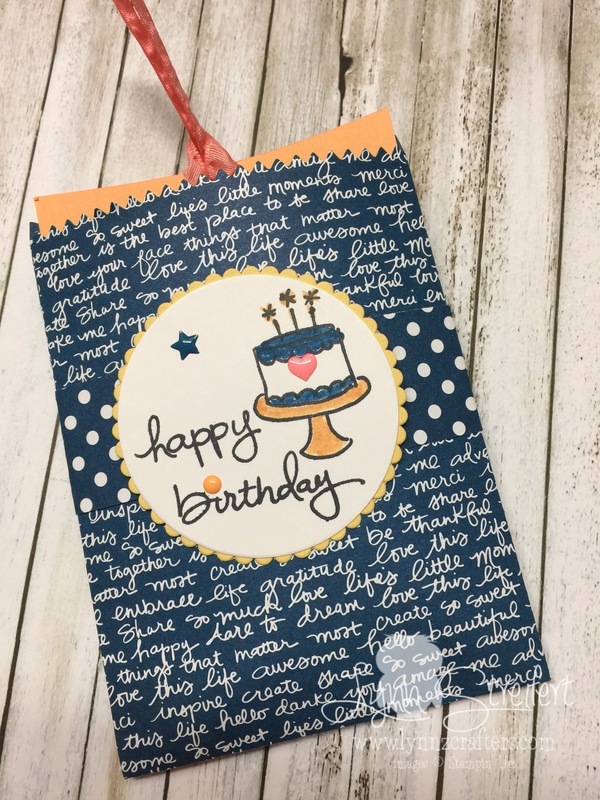 We create two projects- one simple and one “stepped up” to showcase how just a few added embellishments can really make a difference! 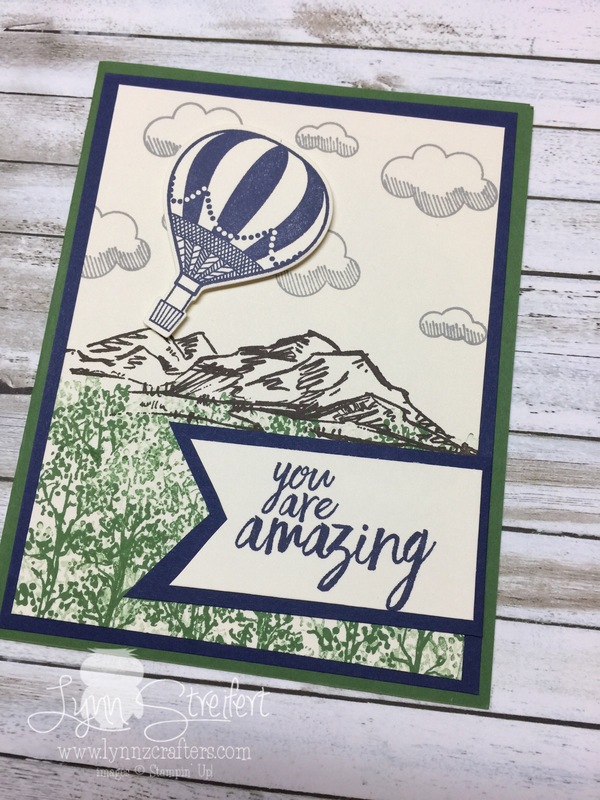 Today I’m showing off a card that was inspired by one of my downline, Lisa Mackey. She made this card for everyone as a gift at our team retreat last weekend up in the Adirondacks. 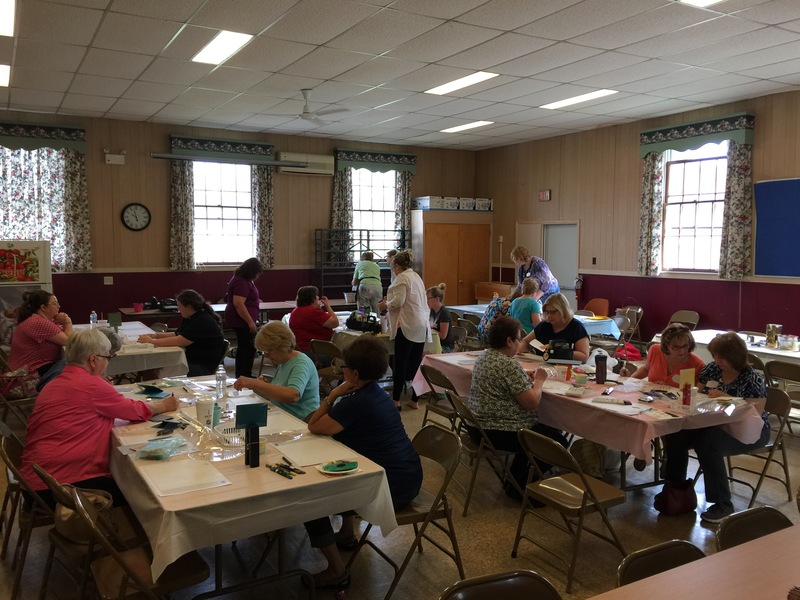 We had a gorgeous weekend and enjoyed long walks outside, fun crafting inside and yummy food all weekend long! 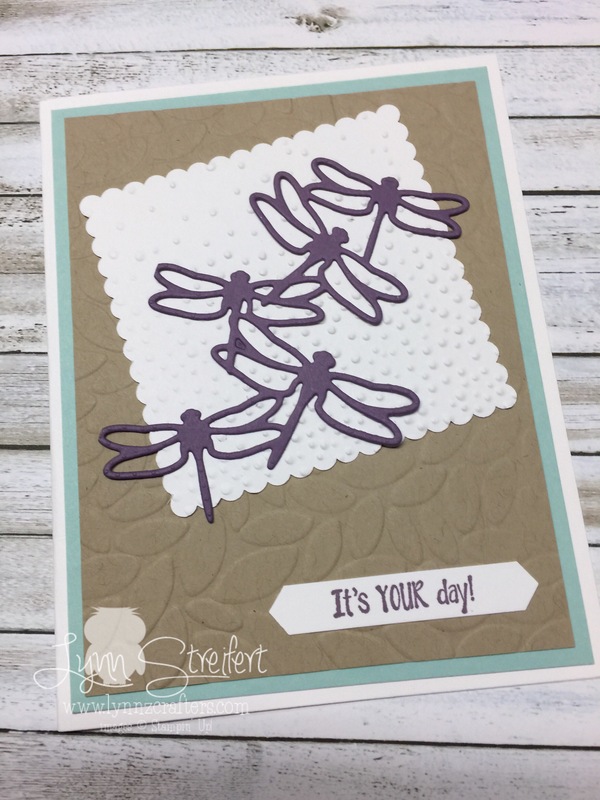 Here is Lisa’s original card, notice the crumb cake piece- she hand-scored all those lines! Isn’t this a gem?? Love it! Copper Foil sheets make great leaves! 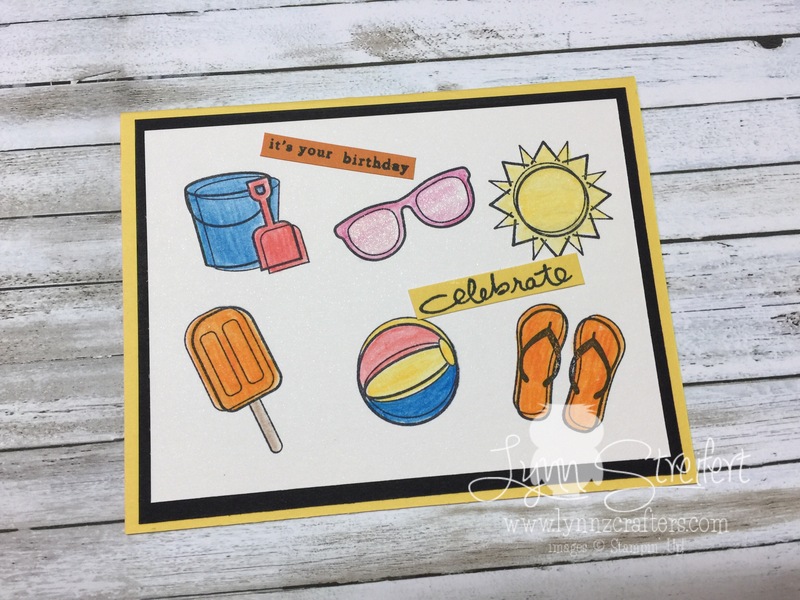 So there are actually 3 card ideas for you showcasing our awesome Stampin’ Up! Products. 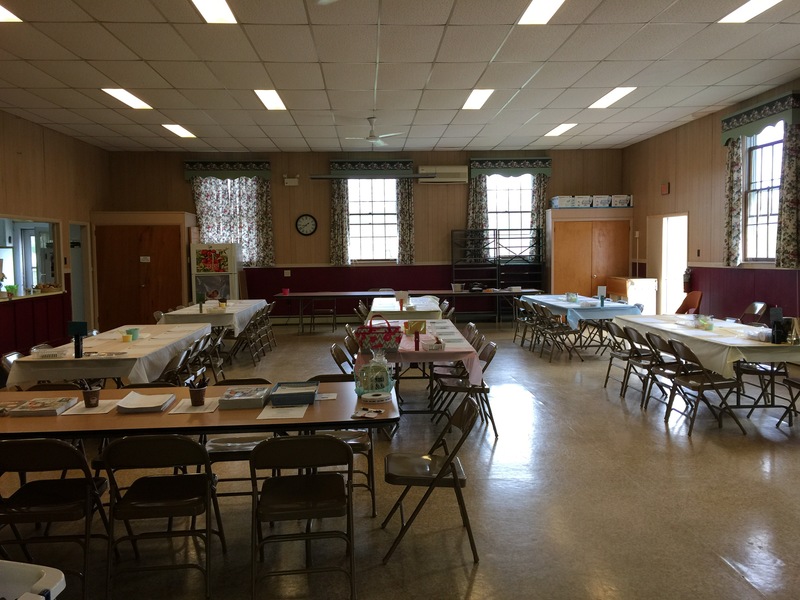 If you have any questions about what I used, please let me know- I’m happy to help you! We Create Blog Hop September! Hi Friends! 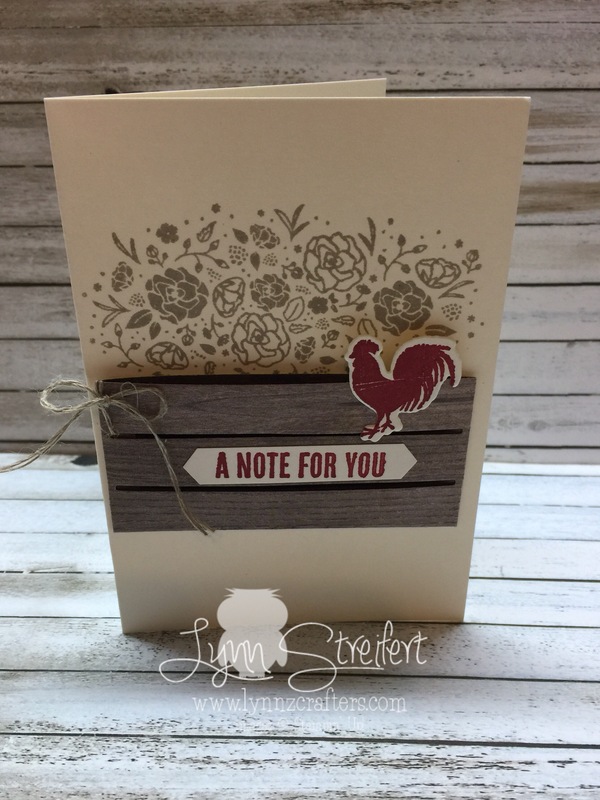 Did you just hop on over from the amazing Jeanna’s blog?? I just adore her work! Happy September 1st! I do NOT know where the summer went, it just flew by, didn’t it? I’m hoping the weathermen are right that we are going to have a warm September and October! Did you know that TODAY is the first day of the new 2017 Holiday Catalog, and OMG- it is just fabulous! 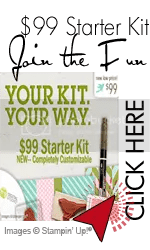 Here is a link to the catalog online (just click the photo of the catalog below) and/or if you need a catalog and don’t already have a demonstrator, then message me your address and I’ll be happy to mail you one! 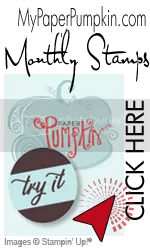 This is a monthly blog hop of Stampin’ Up! 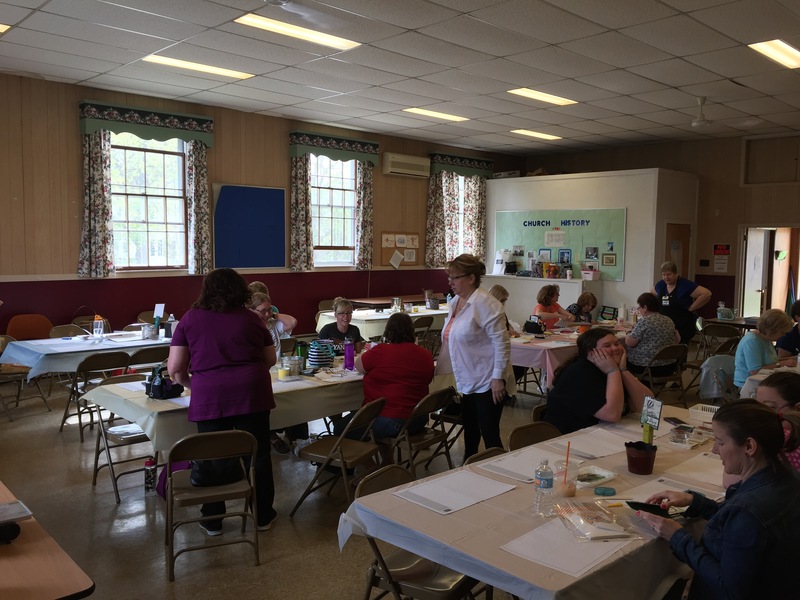 demonstrators who create one project and then “Step it up” to show you how some slight changes in product and placement can make a big difference! Sometimes I do this with my clubs and classes- it is a terrific way to showcase new embellishments and products! 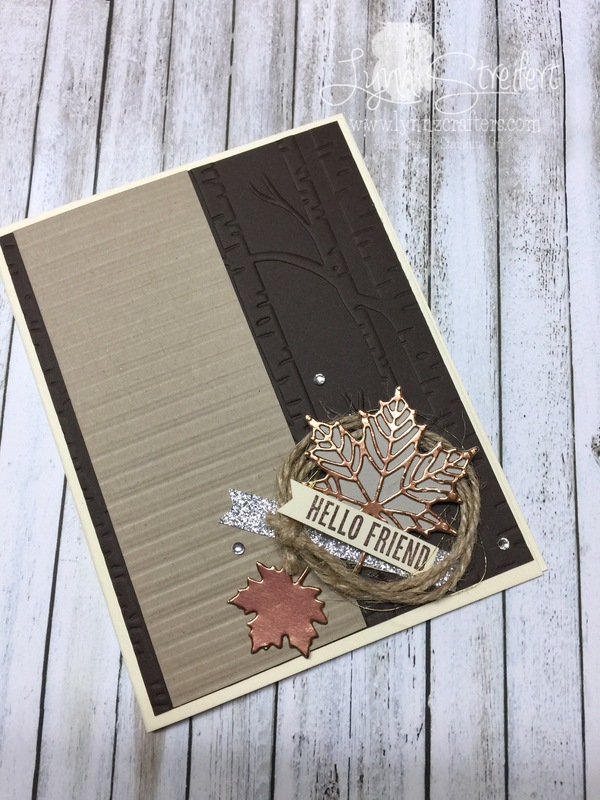 My cards today are made with the new gorgeous bundle called “Snowflake Sentiments” (item #146053 for clear mount; or item #146052 for wood mount, found on page 35 of the Holiday Catalog). The sentiments are so sweet, on the inside I stamped the greeting: “Wishing you a season of joy, a season of cheer, but most of all- a wonderful year”. (I forgot to take a picture). The dies are amazing, and love how the the little holes pop out of the snowflake outline die. So sweet. For my second card, the “stepped up version” I used the silver foil paper to cut the intricate snowflakes out. I love how sparkly this card is, so fun to make! What do you think? 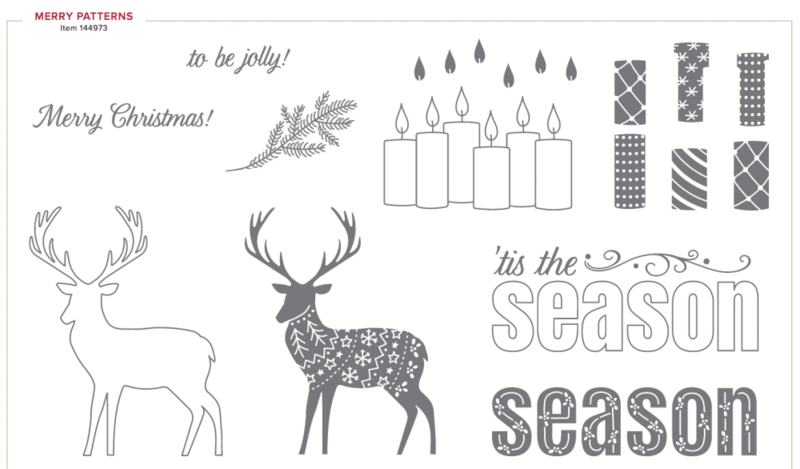 Are you eager to get creating some Holiday cards? Starting today we have a new promotion for our amazing Hosts! 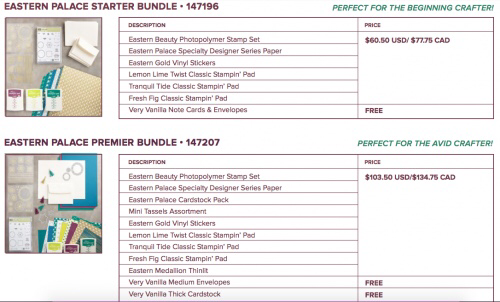 Anyone who has a party with $300 in sales will earn this stamp set free! Just click this link to get the flyer with all the details! 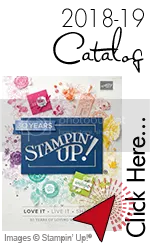 Customer, workshop, and online orders all qualify for this great stamp set! 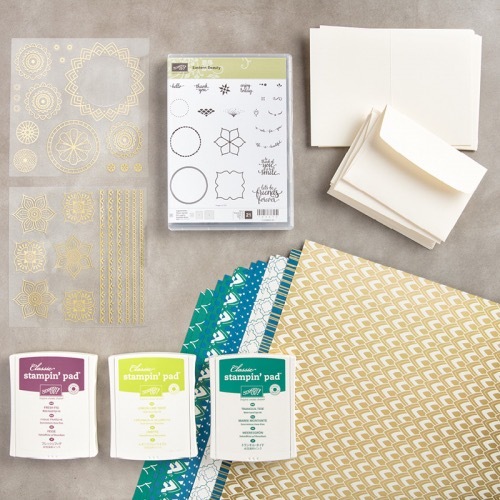 The Merry Patterns Stamp Set is in addition to the regular Stampin’ Rewards that you earn with an order or party totaling $300+! So get your orders ready! Any order or party totaling $300+ between September 1 and October 31 will get this great set for free! Thank you so much for stopping by today! 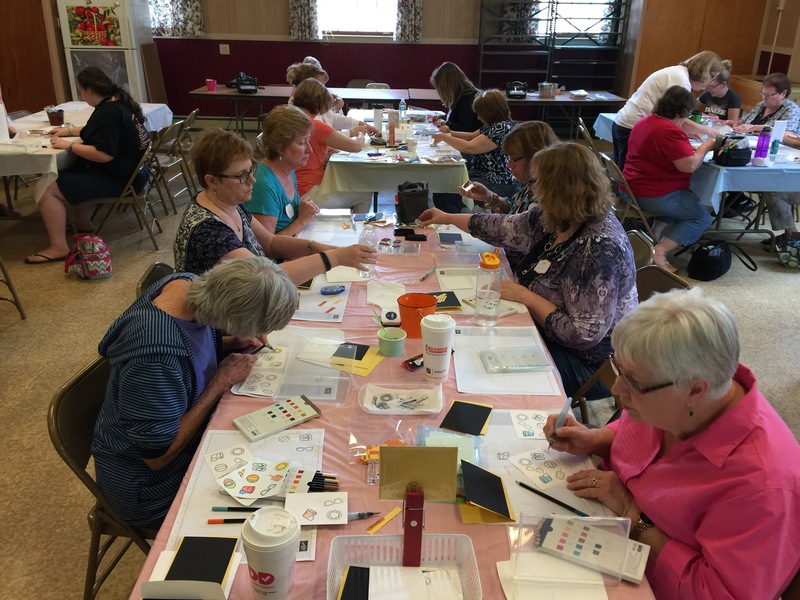 I hope you continue on and visit the other ladies who are in the blog hop today. 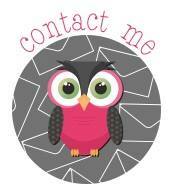 Just click the next icon below to go see what the amazing Kimberley has created for us this month. 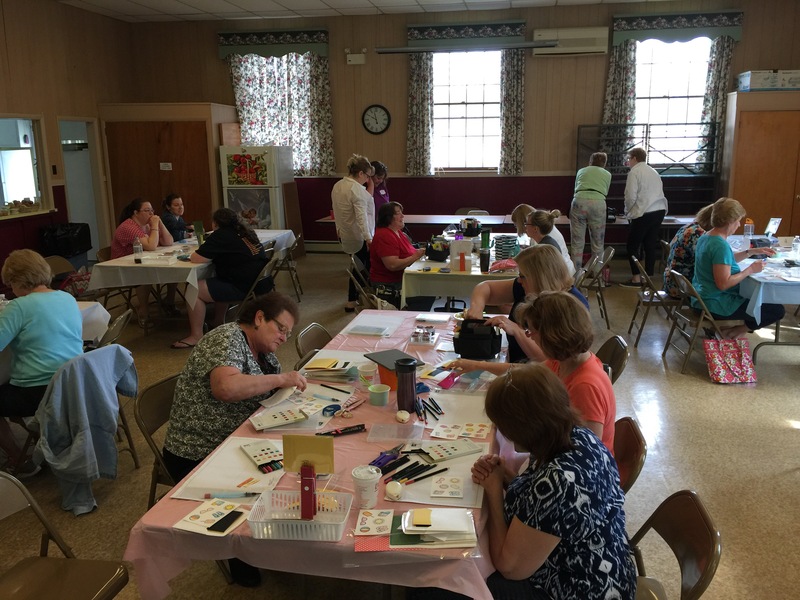 We Create Blog Hop June! 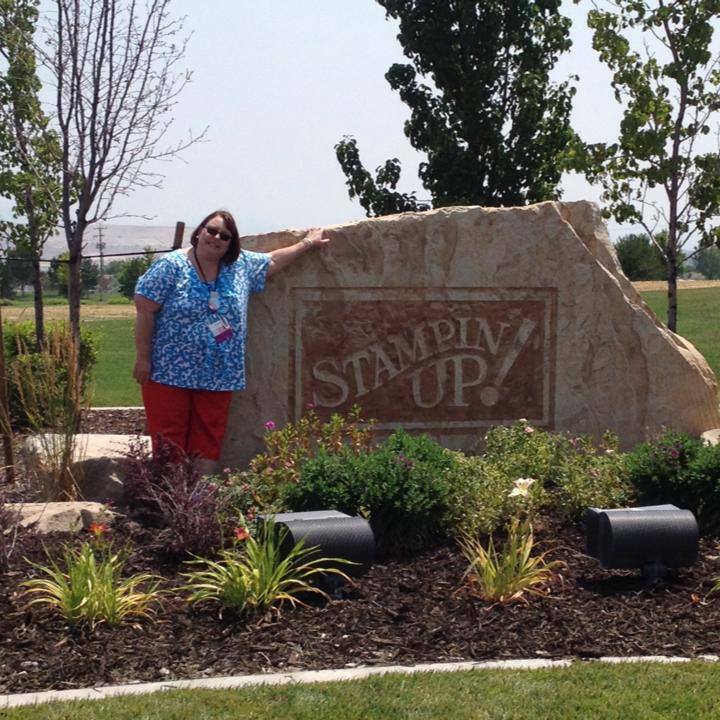 Welcome to the June edition of the We Create Blog Hop- a group of Stampin’ Up! demonstrators who hope to show you some ways you can “step-up” your projects with a few simple modifications. 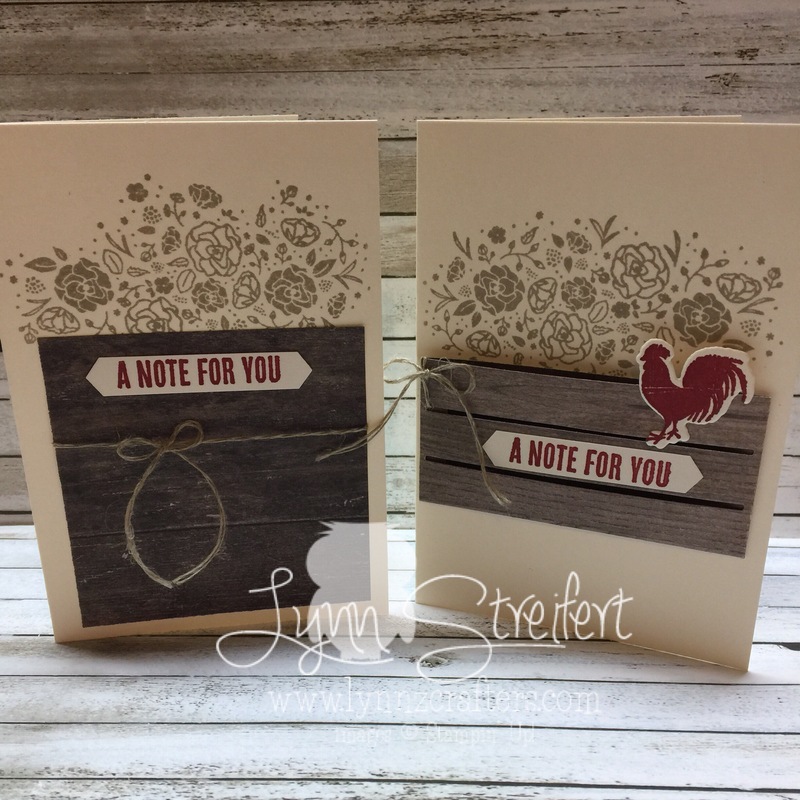 For my stepped up version of this card, I added the little rooster, a breeze to make with our awesome new dies! 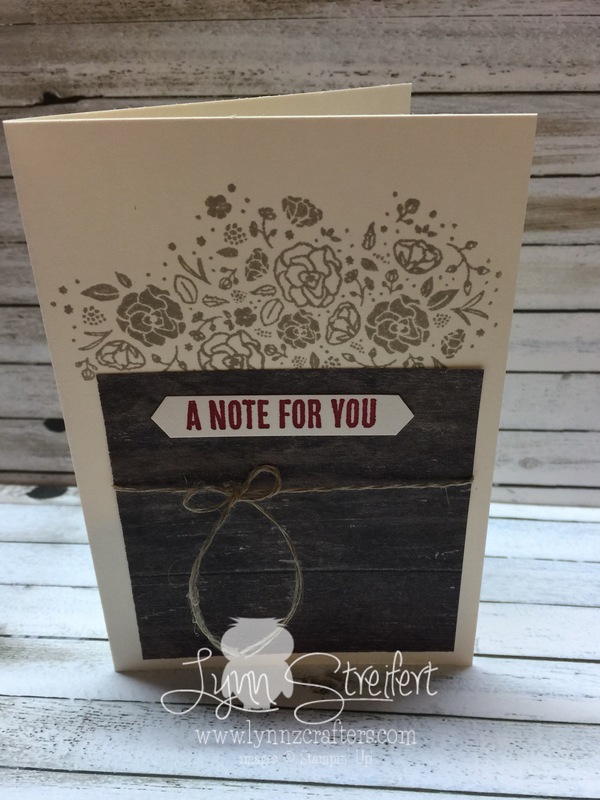 I used one piece of the wood crate and folded it over to make this card front. I used Crumb Cake and Cherry Cobbler inks. What do you think? I love to hear from you- just scroll all the way to the bottom and leave me a comment, I really appreciate you taking the time to leave me a comment, I treasure every single one. Also, if you are interested in joining my 2017 Ribbon Share, there is still time, just scroll below to learn more! With the launch of the new 2017-18 Catalog on June 1st, I have been working on a new Ribbon Share deal for you. It was a little more difficult this year as we have over 50 new ribbons in the new catalog and they are absolutely gorgeous! It was a hard decision to make, but I am finally ready to promote my 2017 Ribbon Shares! 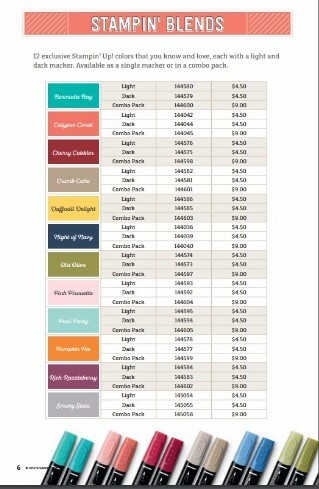 $50 per person for each ribbon share, plus shipping (or you can pick up at my house). You will receive 2 yards each (consecutive cuts) from 10 new ribbon types, with 34 colors/styles for a grand total of 68 yards of new Ribbon! Payment is due in Full by June 3rd, and will work in groups of 5 people per share (all the ribbons I have selected are in 10 yard rolls, so I need 5 people to make up a “share”). If I don’t have enough to complete a share, I will go in the order that I received payment to fulfill the request. I will order all the ribbons on June 3rd and they should arrive by June 13th if nothing goes on back-order. I will need a few days to cut/wrap and prepare the ribbons for you. My goal is to have it ready by June 17th (so I can bring them with me to the BOGO sale, if all goes well). 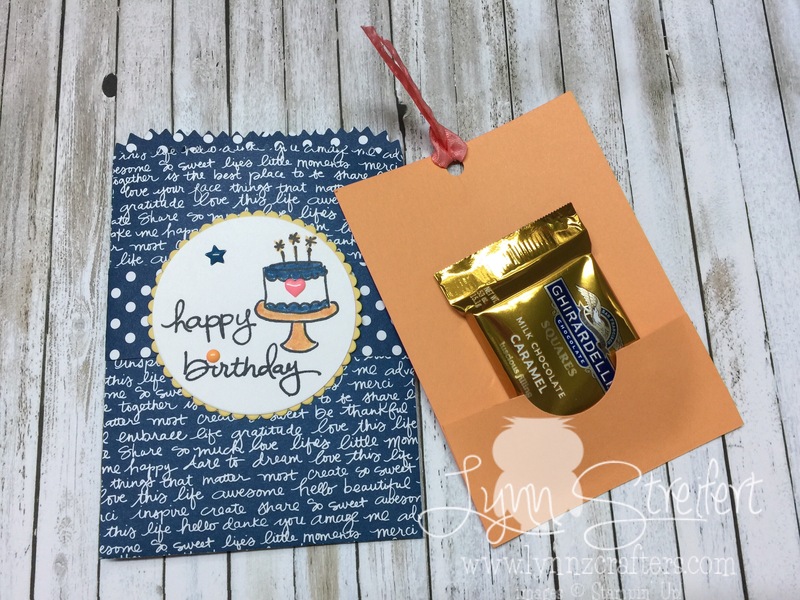 *I am using hostess benefits to throw in the Basic Black Mini Sequin Trim and the Silver and Gold Metallic-Edged Ribbon as additional ribbons for you. **If you were to purchase all of these 34 rolls of ribbon yourself, it would be over $300 to purchase these with tax and shipping. Well, that’s it for today, thanks for visiting me twice today, it’s funny how the calendar works sometimes I have 2 Blog Hops on the same day. 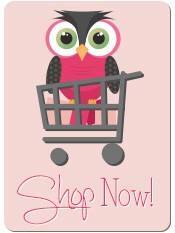 We Create Blog Hop- Step it up April! Holy cow, how did it get to be April 1st? Did you play any April’s Fool’s jokes on anyone? Did anyone play a good one on you? I’d love to hear them all, leave me a comment (scroll all the way to the bottom of this page and type in where it says “Leave a response”) thanks! 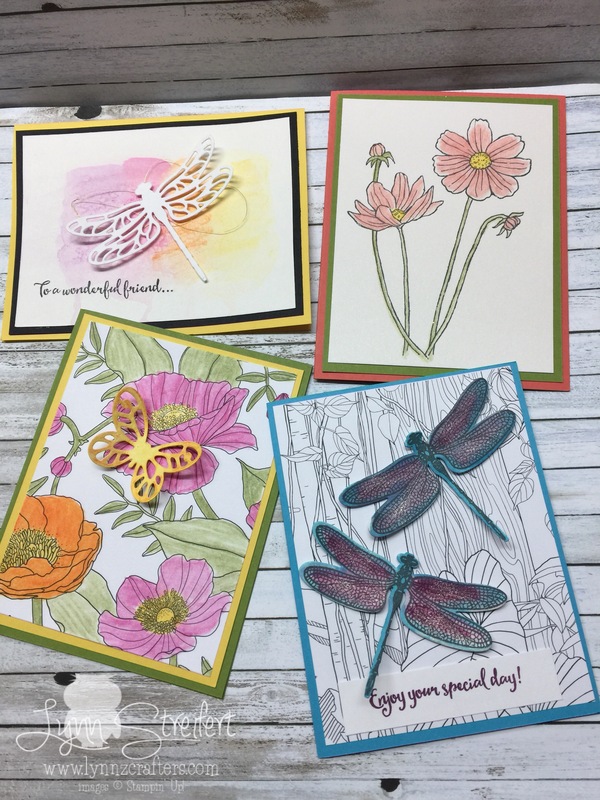 Today’s post is a quick one, to showcase some recent cards I made and featured in my March Watercoloring Class at the Scotia-Glenville Continuing Education program. I’d love to hear from you- which one do you like best? 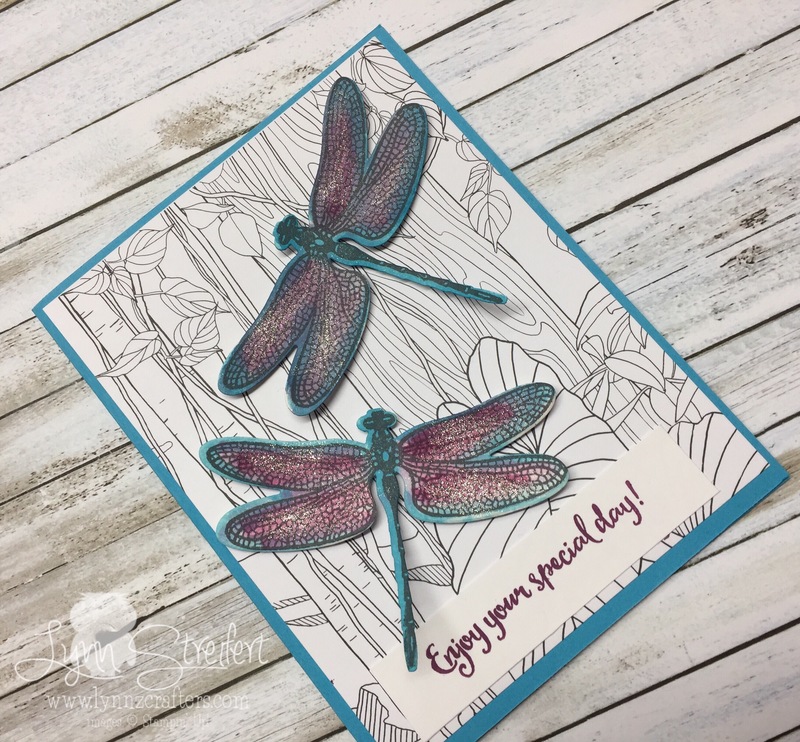 This first card was made using So Detailed Dragonflies from the Occasions Catalog, Shimmer White card stock, Rich Razzleberry re-inker, Tempting Turquoise re-inker, (colored with the aqua painter) and finished with clear Wink of Stella. Can you see the shimmer on the wings of the dragonflies? 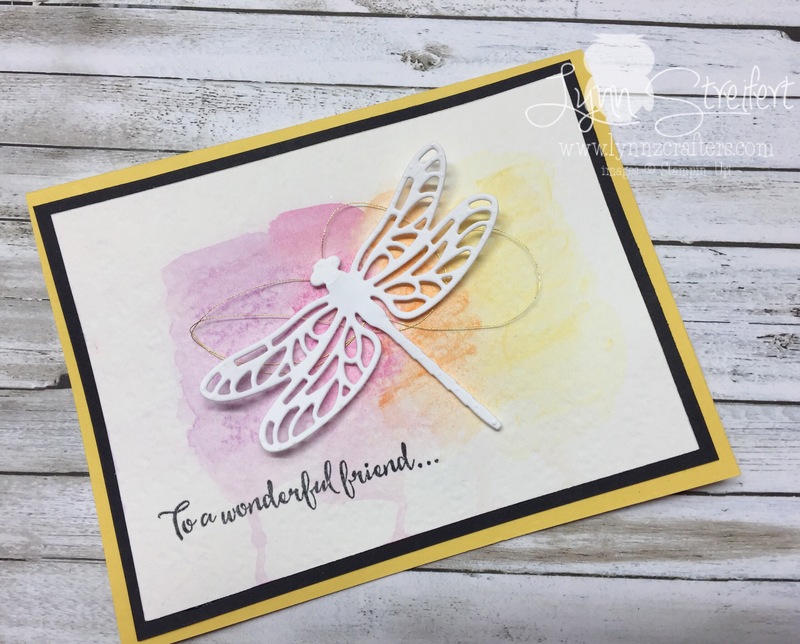 This card base was made with Watercolor Paper and our awesome watercolor pencils. 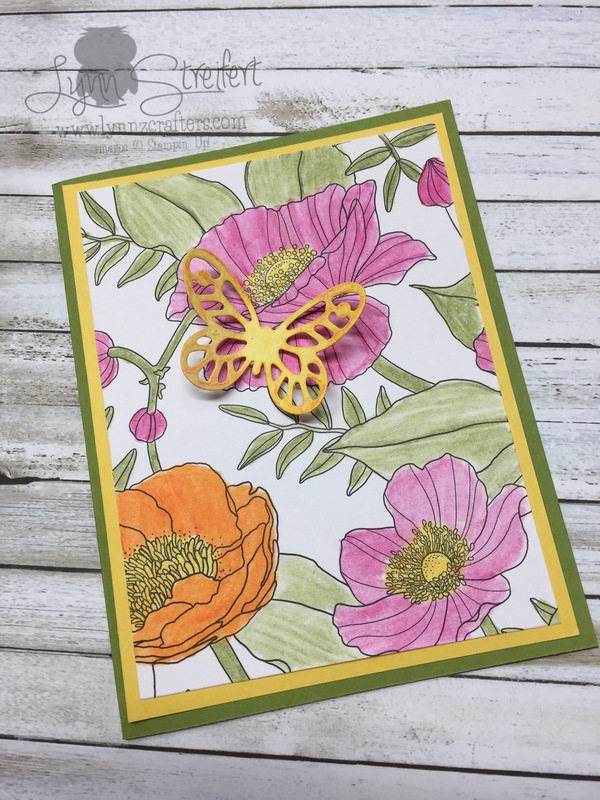 I used Rich Razzelberry, Melon Mambo, Pumpkin Pie and Daffodil Delight pencils and the aqua painter to blend. Well, that’s it for now, are you ready to go check out the amazing Kimberley’s blog post? I love her work! Just click the “Next Blog” button below.